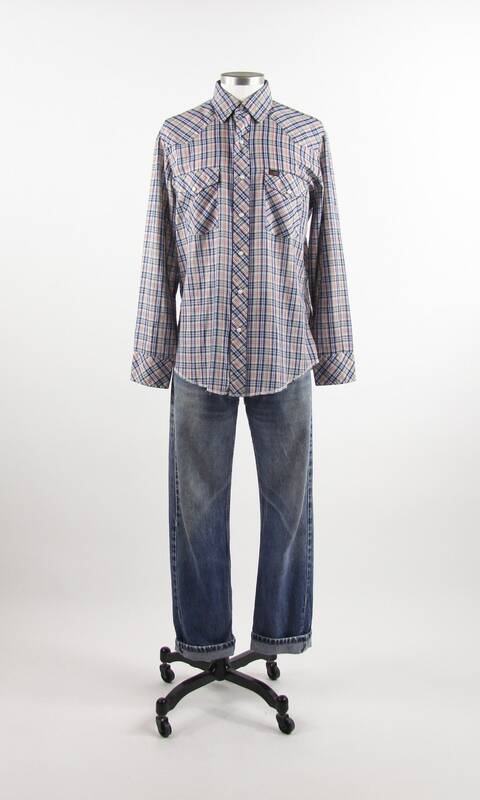 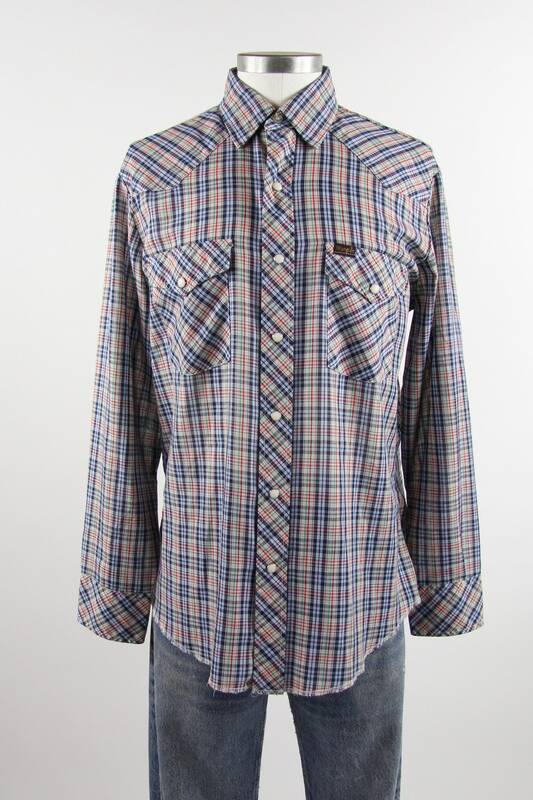 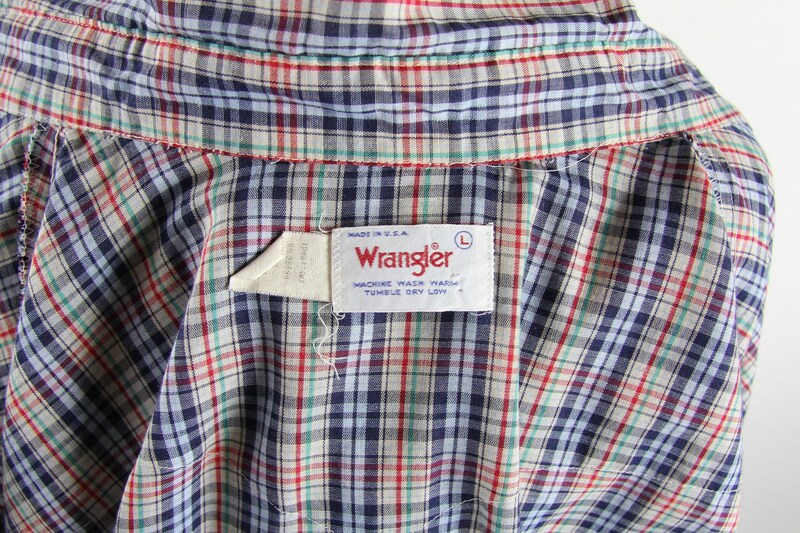 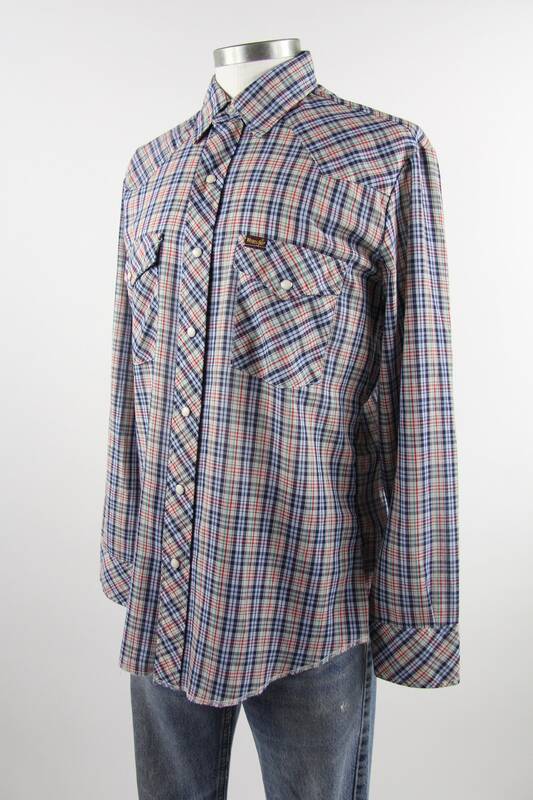 A radical Wrangler western button down shirt. 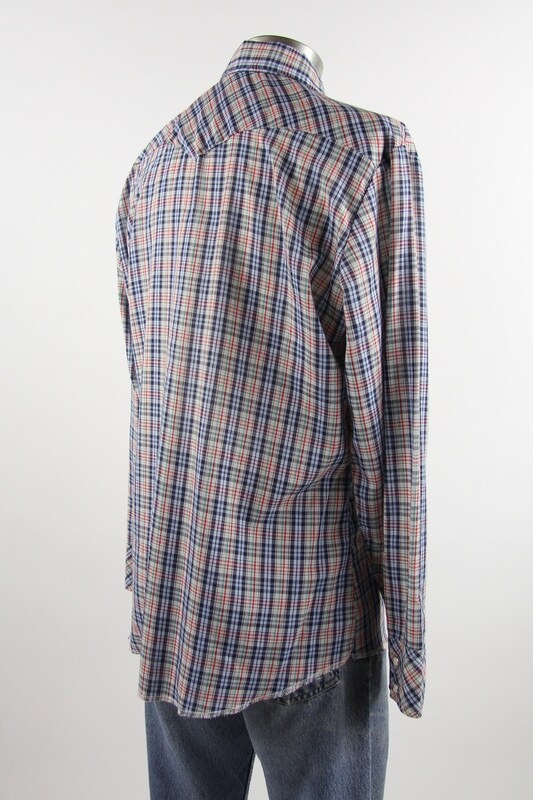 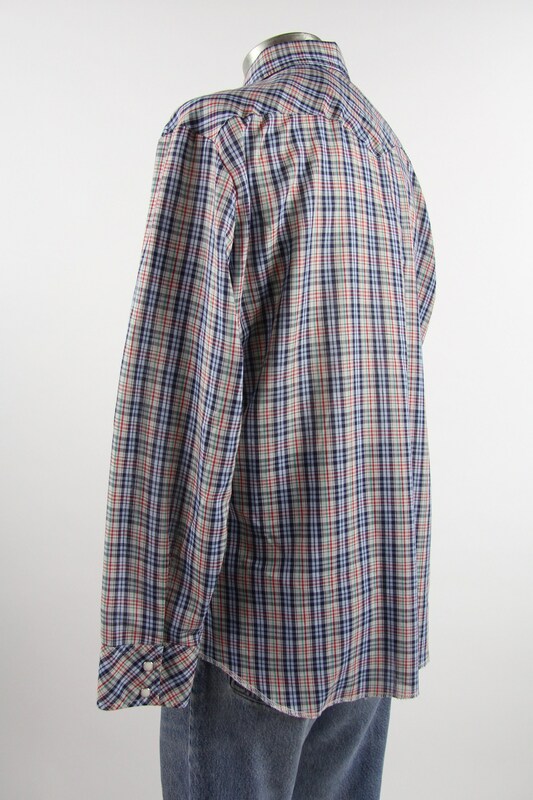 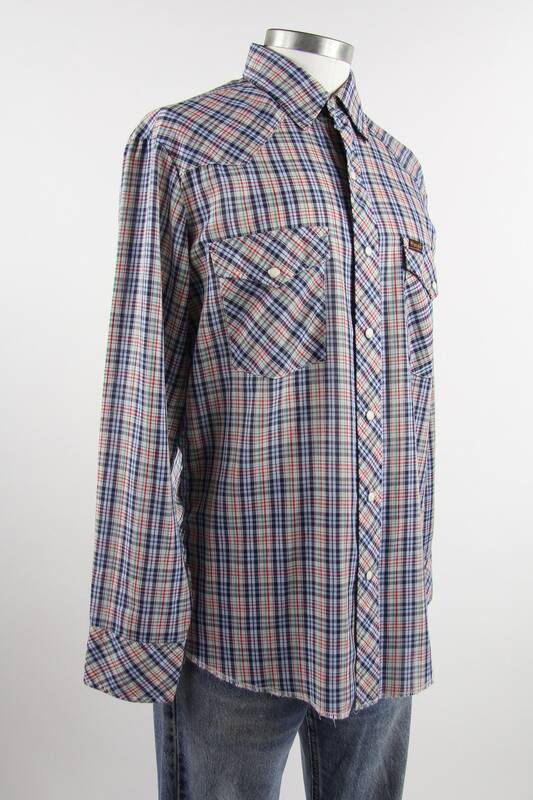 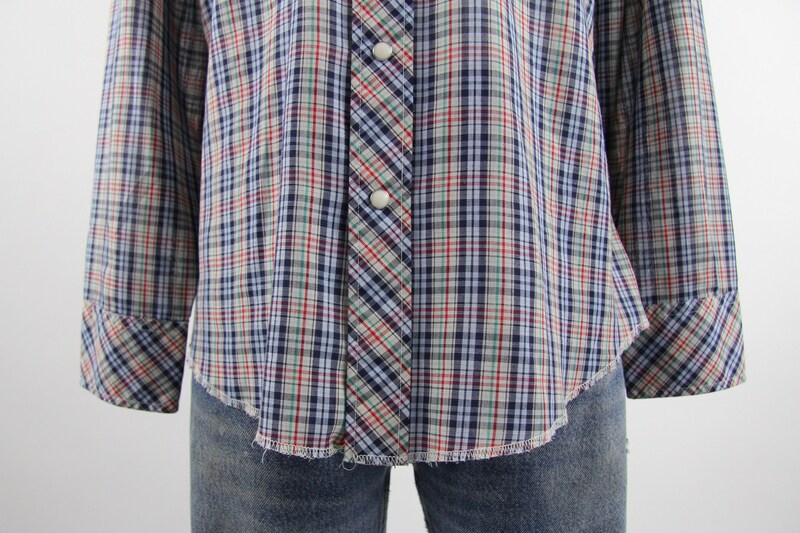 Beautiful navy blue plaid pattern made of lightweight fabric. 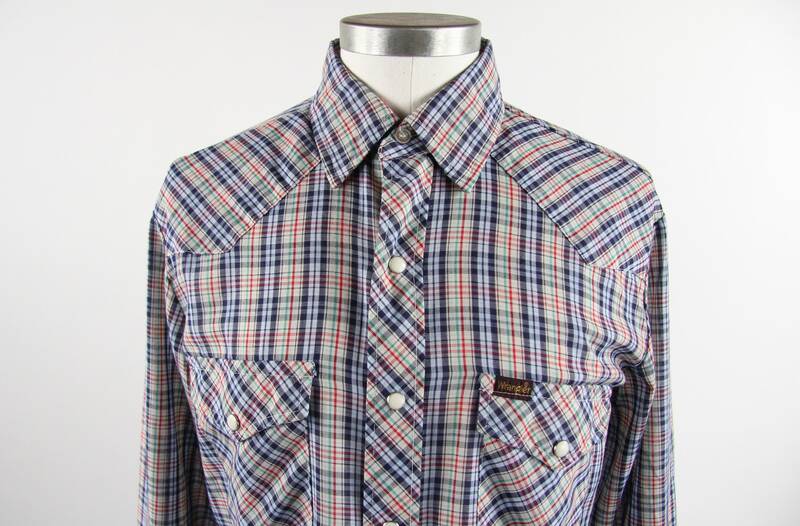 Tag reads "Cotton Poly Blend" and Made in USA. 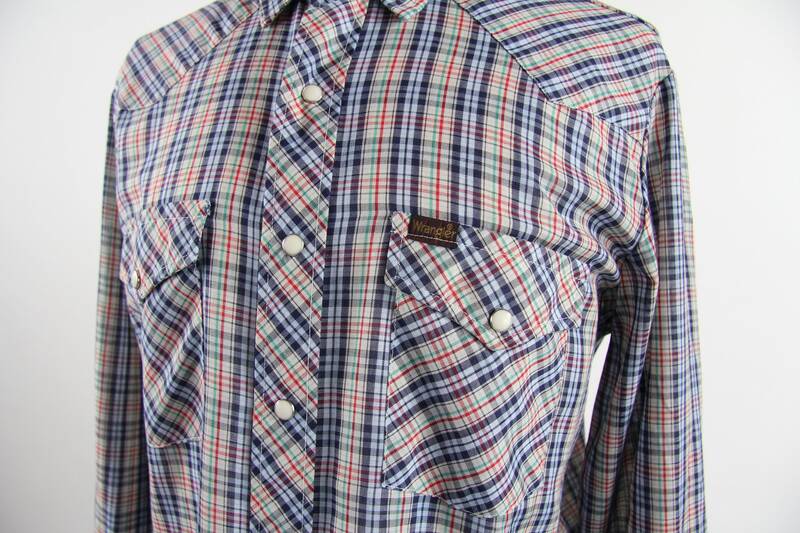 This is the perfect summer picnicin' shirt that is breathable and cool.